We love hymns. Those beautifully crafted lyrics that have gotten lost in dusty hymnals at the back of your church are the ones we love. Our hope is to bring this powerful poetry back to our churches in a musically interesting and contemporary way. We love God. Everything we do in Garage Hymnal is powered by our love for God. The joy of it all remains seeing individual hearts changed by the love of Christ as people worship God through song. We love churches. No matter what the size or average age, we love meeting congregations all over Australia, working alongside music teams to give practical tips on playing and leading worship. We have found that we walk away from our time with other churches feeling refreshed and blessed by the experience. We love making music. With the upcoming release of our Christmas album Lowly, we are as determined as ever to create music that serves the church. Once again, this album is produced by multi-ARIA award winner David Nicholas (Sting, Elton John, Delta Goodrem, The Whitlams, George). Our debut album 'Take My Life', hit the shelves in 2006. Soon after its release it took out a finalist position in the MusicOz awards, and live footage was syndicated on Christian TV channels across the world from Romania to the USA. The sophomore album Bring on the Day followed soon after in 2007. 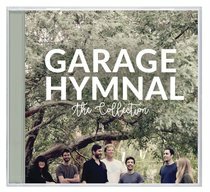 Garage Hymnal, our self-titled album which contained the Hope 103.2 FM radio favourite 'Child's Play', and other widely-sung songs such as 'Father's World' and 'The Light Has Found Us', was released in 2009. Our fourth album Unity (recorded at three live concerts in May 2011), has been taken up by churches both locally and across the world. The song 'All That I Am' was selected by US Worship Leader Magazine for distribution to worship pastors throughout America and Europe in its October 2013 CD compilation. 2012 saw the release of our first EP Bird in a Winter Storm. The EP provides four very musically different songs taken from hymns and poems and written to showcase our musical versatility. We are so thrilled that Churches across the world are now singing songs from all of our albums, which together have sold more than 10,000 copies. We love playing music. We love organising our own shows but also love being a part of festivals and conferences. We regularly play at Easterfest in Queensland and Blackstump Music Festival in Sydney. In 2011, we also played at the Sydney Entertainment Centre supporting US preacher and author John Piper and at TWIST Conference in Sydney alongside US music pastor and author Bob Kauflin. We are Stephanie Vanden Hengel (vocals), Alanna Rodgers (vocals), Richard Fenton (guitar), Greg Cooper (guitar), Trent Prees (bass) and Andrew Massey (drums).